I have four colleagues who are running the Uganda Marathon in a few weeks time, including fellow Geographer Claire Kyndt. You can read more about the actual event here. We have been using this as our main fund-raising activity within school. We've raised around £10 000 so far, which is fantastic. The funds will support various community projects. The town of Masaka is waiting to welcome the runners. One of the projects that is supported is the Masaka recycling project, and a recent e-mail update provided some very interesting information on this project. This concentrates on recycling plastics. 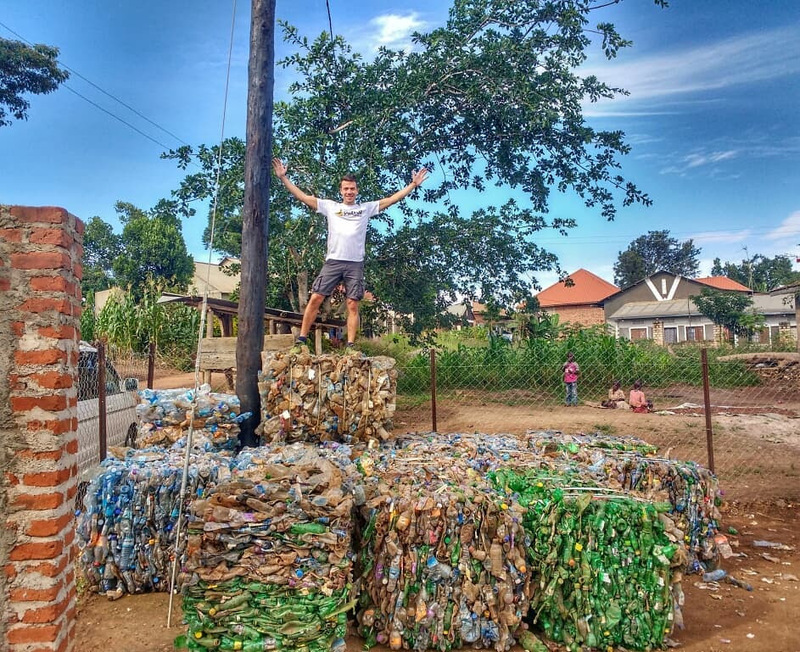 Less than 2 years ago, if you were to go for a run around the beautiful hills and dirt paths of the villages around rural Masaka, it would have been impossible to find a route that didn't take you past heaped piles of burning plastic bottles and unrecycled waste. In fact, much of the marathon route was littered with burning rubbish and plastic. The Masaka recycling initiative was created to combat this. It was started by Andy Bownds, a UK resident of Masaka and the community and partnerships manager for The Uganda Marathon. The initiative works in different ways to put a value on plastic waste, to incentivise the community to clear up their town and recycle the plastic. Buying plastic from locals, this has created a labour force that is actively clearing up plastic from Masaka. Spreading the word, and teaching organisations about upcycling. Upcycled bottles can be used instead of many other materials to create essential tools & equipment that would otherwise need to be bought. The MRI are teaching organisations to upcycle, which places a value on plastic as it becomes a construction material. Upcycling has increasingly become a big part of the work of The Uganda Marathon as last year we launched and pioneered our upcycling program. During race week, runners worked with their chosen community project to build tools & equipment out of upcycled plastic. This year, we are doing something bigger! With the help of the Masaka Recycling Initiative, we are planning something that will both clear up Masaka and help the community projects make vital tools & equipment. Best of luck to all the runners, particularly those from King's Ely.